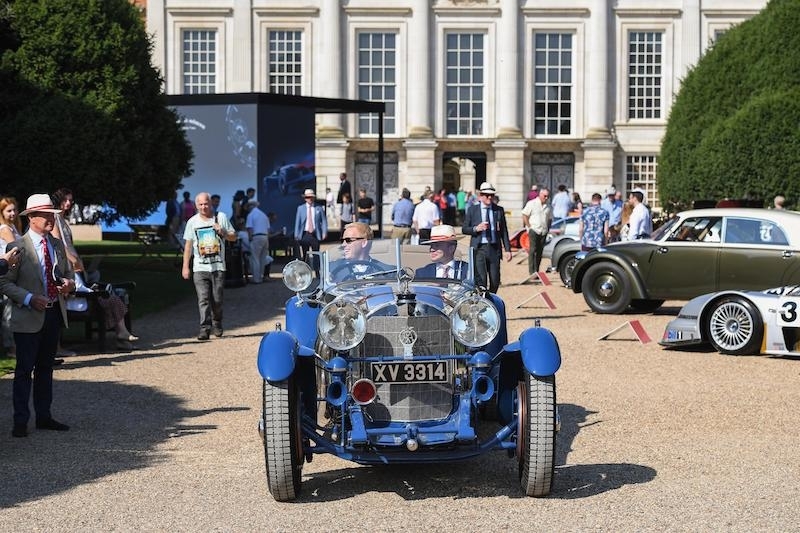 The Concours of Elegance celebrated another weekend of motoring royalty, having welcomed well over 10,000 motoring enthusiasts and around 1,000 incredible cars into the spectacular gardens of Hampton Court Palace. This year, Best in Show was awarded to the Mercedes-Benz S-Type Barker ‘Boat Tail’, as voted for by the owners of the Main Concours cars. 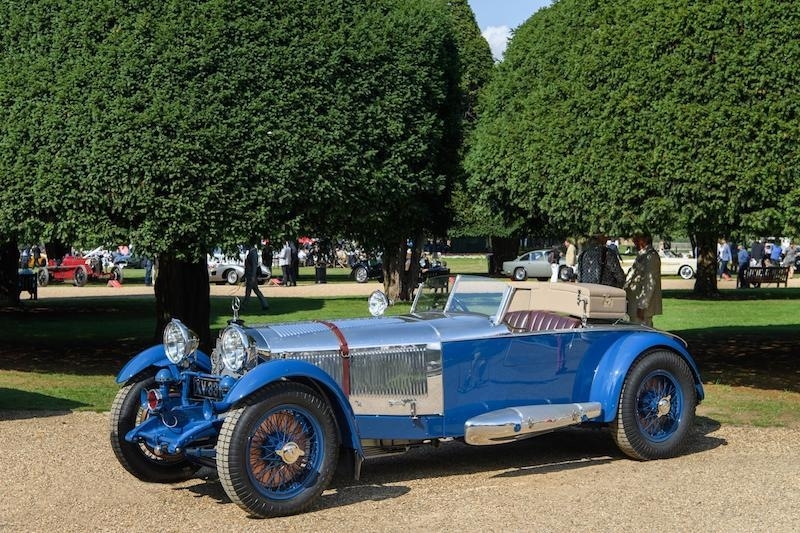 The Best in Show-winning Mercedes-Benz S-Type Barker ‘Boat Tail’ is based on the 1927 Mercedes S-Type; it was one of the most powerful road-going automobiles in the world during that period, developed as the perfect road-going, race capable car. Originally owned by racing enthusiast and British Racing Drivers’ Club co-founder Earl Howe, this ‘Boat Tail’ car was fitted with a revolutionary body which incorporated a lightweight and aerodynamic shell with unique aircraft-inspired aluminium side pods crafted by English coachbuilders Barker. 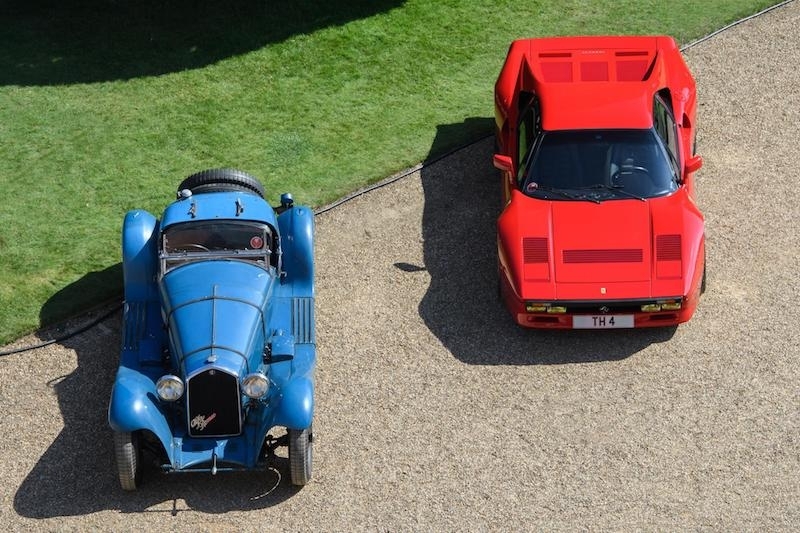 Over the years, the majority of Earl Howe’s unique specifications were all but lost, until a recent sympathetic restoration brought it back to its former glory. 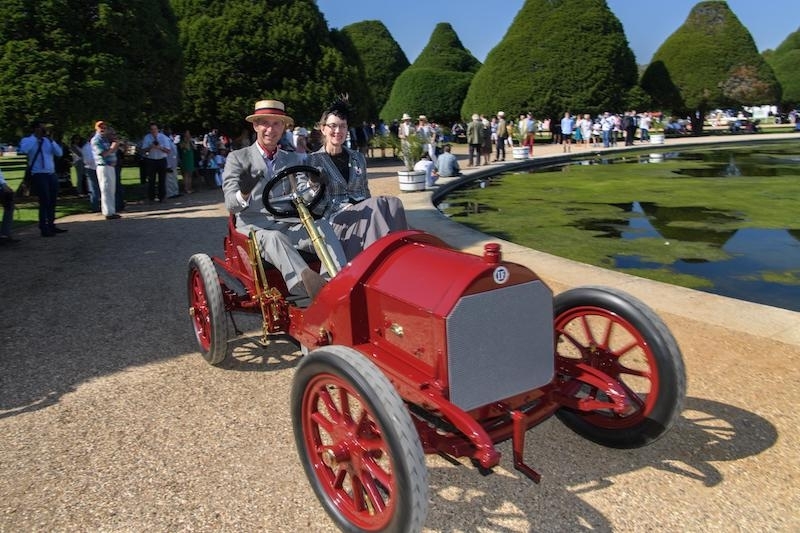 For the first time at the Concours of Elegance, awards were also given out for different classes and eras. 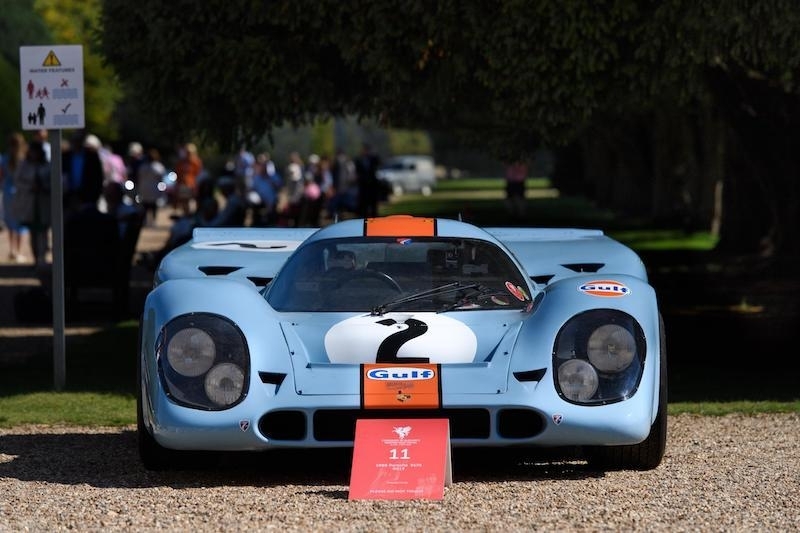 Once more judged by the owners of the Main Concours cars, the winners included a fresh factory-restored Lamborghini Miura P400 S in the post-1970s class and a Maserati 300S driven to victory by Sir Stirling Moss in the 1940s/’50s class. Nearly 80 historic Jaguars were also displayed, competing for the Jaguar Trophy. Led by Jaguar guru Phillip Porter, a panel of judges overwhelmingly decided the car they would most want to take home, was an impeccable and highly original X120. The very early steel car has only covered 53,000 miles since new. 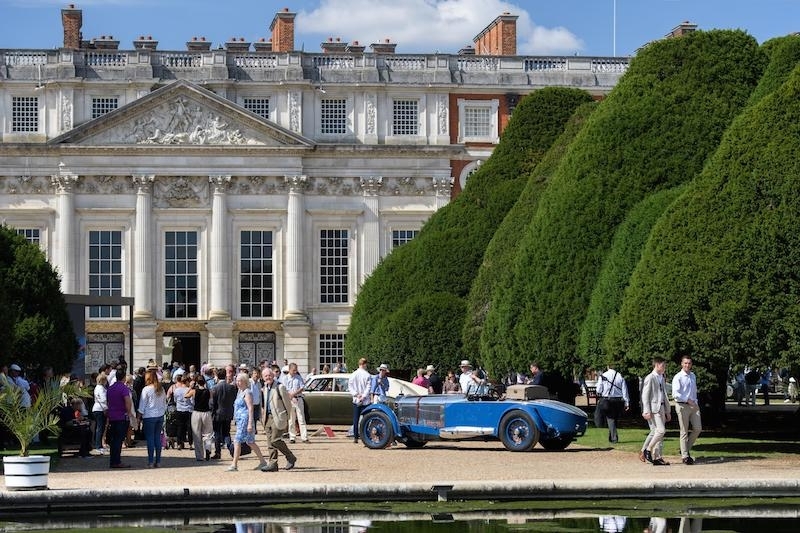 More than 60 Bentleys were on the gardens, ranging from the pre-war grand prix cars to some of Bentley’s very latest Continental models. A judging team of Bentley experts carefully assessed each and every model on display, before deciding that the pre-1965 Bentley Trophy be awarded to a stunning S2 Saloon. The post-1965 Trophy went to a 2000 Continental T.